BLOG - Page 2 of 5 - Warren S. Dank, Esq., P.C. It is not uncommon for general contractors to hire subcontractors to complete some or all of the work on a project. In order for subcontractors to be paid for their services, general contractors anticipate to receive full or partial payments from the owner for the work being completed. In order to protect themselves, most general contractors will add a “pay when paid” clause to a contract. These clauses often lead to legal disputes between both parties. Payment clauses raise two different questions: “Is the contractor liable to pay the subcontractors if the owner never pays” and “When is payment due”? Most payment clauses fall into one of two different categories: “pay-if-paid” or “pay-when-paid”. In the event that an owner fails to pay the general contractor, it is imperative that you or your construction lawyers NYC understand the arrangement as outlined in your contract to determine who bears the burden. Contracts that contain a “pay-if-paid” clause place the risk of non-payment on the subcontractor not the general contractor. This means that if the general contractor does not receive payment from the owner, they are not required to pay the subcontractor for materials or services. This type of payment clause favors the general contractor over the subcontractor. During contract negotiations, subcontractors are responsible for determining if they are willing to have payment be contingent upon the property owner satisfying their financial obligations for the project. Additionally, both the contractor and the subcontractor will need to consider and negotiate what collection measures the general contractor will be required to take to collect payment from the property owner, before they can deny payment to the subcontractor. Contrary to that of a “pay-if-paid” clause, a “pay-when-paid” clause favors the subcontractor. 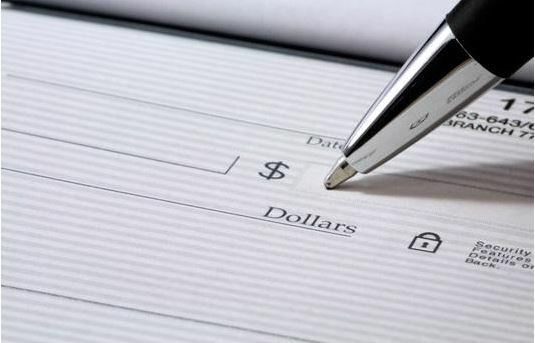 A “pay-when-paid” clause guarantees a subcontractor payment within a predetermined period of time following payment to the general contractor from the property owner. In the event the property owner neglects to pay the general contractor within a reasonable time, the subcontractor is still entitled to payment for materials and services rendered following the completion of their services. This clause protects the subcontractor in the event that the property owner neglects to keep their financial obligations, as subcontractors are entitled to demand payment from the general contractor prior to the general contractor receiving payment from the property owner. There are circumstances where neither the “pay-if-paid” or “pay-when-paid” clauses are going to be in either party’s best interest. These circumstances lend for both parties to negotiate an alternate payment provision to be written into their contract. When this option is pursued, it is going to be in the best interest of both the general contractor and the subcontractor to ensure that the agreed upon payment provision is as clear as possible, as ambiguous payment provisions are ripe for litigation. In addition, both parties need to be aware that some contracts with property owners may include acceptance rights, lien waivers, prohibitions on “pay-if-paid” and “pay-when-paid” clauses, among other provisions. These may limit the options available for the general contractor and subcontractor to negotiate and agree upon when setting up their own payment provisions. Before agreeing to a payment provision, both parties should have a clear understanding of the risk involved and any remedies that are available. 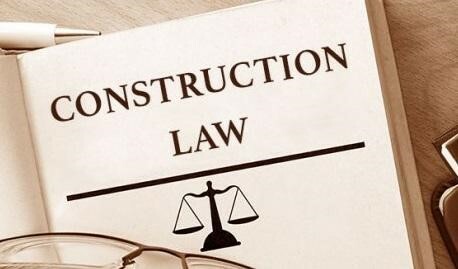 If you have any questions on a payment clause in a construction contract, be sure to consult with construction lawyers NYC to ensure you know your rights and are protected. Warren S. Dank, ESQ., P.C. has years of experience in helping negotiate construction contracts that protect you and your investment. Before you sign a legally binding contract, contact the office of Warren S. Dank, ESQ., P.C. today. As a landlord there are numerous reasons why you might need to evict a tenant from your property. These reasons can range from not paying rent to excessive damage to the property that is beyond normal wear and tear. Other times tenants may be in violation of their lease by having pets that aren’t allowed per the lease or using the property for illegal purposes, such as drug trafficking or prostitution. Depending on the situation, you might need to hire a landlord tenant lawyer NYC to help you legally evict a tenant from your property. Regardless of your reason for needing to evict a tenant, there is a process that you must adhere to. This involves more than simply tossing them and their possessions out into the street. Before a tenant can be legally evicted, landlords must follow the rules and laws that are in place, otherwise you might find yourself in a lawsuit for unlawful eviction or criminal trespassing. So, what do you need to do in order to be able to legally evict a tenant? The first step to evicting a tenant in New York City is to provide the tenant with a written notice. 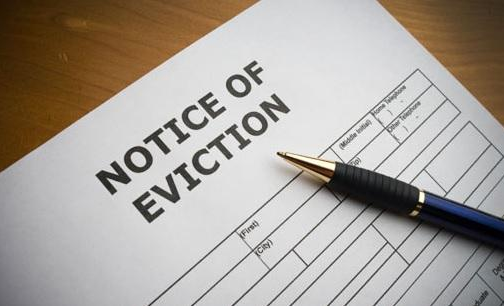 The type of written notice that will be required is dependent upon the reason for the eviction. If the tenant does not pay their rent when it is due, the landlord has the legal right to provide the tenant with a three-day notice to either pay their rent or vacate the property. If the tenant neglects to pay their rent and retains residence of the property, the landlord may then file an eviction lawsuit against the tenant with the court at the end of the three days. If the landlord is evicting the tenant based on a violation of the lease agreement, the landlord is required to provide the tenant with both a notice to cure and a notice of termination. When a tenant has violated a lease, the first notice that a landlord needs to provide is a notice to cure. This notice will inform the tenant that they have 10 days from the date of the notice to correct the lease violation. If the tenant takes the necessary steps to correct the violation within the 10 days, the landlord can take no further action against the tenant. However, if the tenant fails to correct the violation within the 10 days, the landlord is then legally eligible to provide the tenant with a notice of termination. After providing a tenant with a notice to cure and the tenant failed to comply, the landlord may then issue a notice to terminate. This notice will inform the tenant that the tenancy has been terminated due to lease violation, therefore, the tenant has 30 days to vacate the property. At the end of the 30 days if the tenant is still living in the property, the landlord may begin eviction proceedings against the tenant through the court system. It is unlawful for a landlord to terminate a lease without just cause. If there is no justifiable cause for eviction, the landlord must wait until the lease is up before expecting or asking the tenant to move. Depending on the type of lease, the landlord may still be required to provide the tenant with notice to vacate the property at the end of the lease term. For rental agreements that are month-to-month contracts, the landlord is required to provide the tenant with 30 days notice of the termination of the lease. This will serve to notify the tenant that at the end of 30 days the tenant will be expected to move out, as the lease will not carry over for another month. For leases that are set for a fixed term, such as six-months or a year, and there is no just cause to terminate the lease, the landlord is required to wait until the end of term before expecting the tenant to move out. Unless specified within the lease, the landlord is not required to provide notice to the tenant. There is a lot that goes into evicting a tenant—having just cause, abiding to terms of lease agreements and filing a claim with the court when necessary. This is when having an experienced landlord tenant lawyer NYC on your side can prove to be valuable. You’ll know exactly how to go about legally evicting a tenant, saving you time and money in the long run. Warren S. Dank, Esq., P.C. 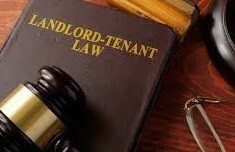 has been helping landlords successfully and legally evict tenants in NYC. If you find yourself in a situation where you need to legally evict a tenant, contact the office of Warren S. Dank today! Anyone who has any experience in either purchasing or selling real estate knows how detail-focused the process is. Before you can start to break down the intricacies and nuances of real estate, it is essential to first know what type of real estate you are negotiating over—residential or commercial. It is imperative to know exactly what type of real estate you are dealing with, as each comes with its own set of legal issues and risk. The primary focus of this article is the buying and selling of commercial real estate, and why you should have a Long Island real estate lawyer help you through the process if you want to buy and sell notes. Regardless of the type of real estate transaction that you are negotiating, details are critical. When working with commercial real estate, these details are amplified, making them even more important to understand. There are more risks and complications associated with purchasing or selling commercial real estate. When purchasing a commercial property, the buyer must understand how grueling of a process it is and be prepared to forego any other opportunities that might come along. Due to the intense amount of details that go into purchasing a commercial property, there is an intense period of research and preparation that goes into preparing the sale that must be conducted prior to closing the deal. Depending on the situation, this process can take a substantial amount of time (especially if it is for a Self-directed IRA with a company like questira, while consuming copious amounts of money and resources. At the end of the research period, if one party backs out, or a deal-ending detail is discovered, all the time and resources spent will have been wasted. This is why it is crucial that you have an attorney on your side during this process. An experienced attorney can help you make a deal and protect yourself in case the deal falls through. Having an attorney on your side from the beginning can prove valuable, as your attorney can have already negotiated to allow for you to recover your losses if the other party backs out of the deal. An experienced real estate attorney knows how important details are to a real estate transaction, which is why they sweat even the tiniest of details, to ensure that you, your interest, and your pocketbook are safe. Prior to purchasing a commercial property, you and your attorney will spend a lot of time vetting the prospective property, ensuring that every little detail of the property meets all your needs and expectations. This includes having the property physically examined by professionals with a trained eye. These professionals have been trained to thoroughly inspect a property, catching any problems that are not readily apparent in a title search or survey of the property. The negotiations that go into reaching a final purchase price along with the details of the purchase can be extremely complex, especially for those who aren’t familiar with the process. Who will be able to protect your interest? Who will be responsible for delivering a title that is free of encroachments? What types of warranties can you obtain that will protect your investment against any hidden environmental or structural problems that appear after closing? What happens if something compromises the sale of the property? Who pays who and how much? This is where things can really start to get complicated when purchasing a commercial property. The other party will have legal representation that is fighting to protect their interest, you should have the same. Your attorney will be able to negotiate protocol for what happens if the deal falls through, ensuring that you are protected. Additionally, your attorney will be able to negotiate acceptable values for damages or penalties into the real estate contract that not only protect your investment but also minimize the risk that you are taking. 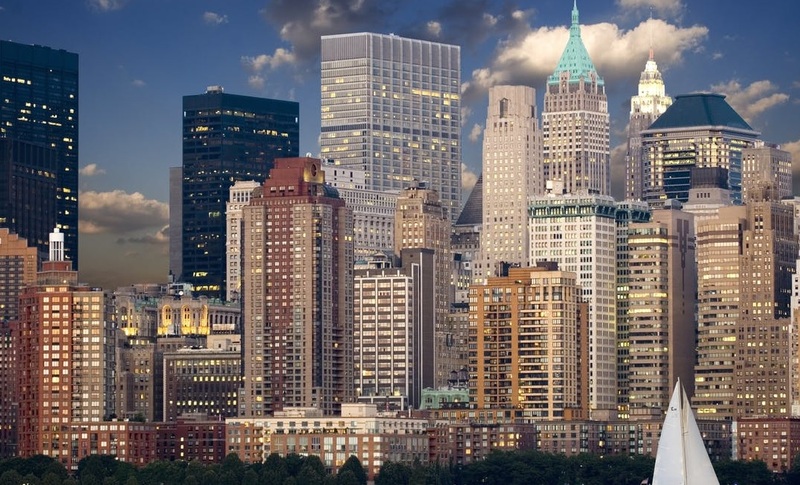 Buying or selling commercial real estate in New York City? Warren S. Dank, ESQ., P.C. has years of experience effectively negotiating real estate contracts for clients. If you are looking for a Long Island real estate lawyer with experience and a proven track record, you need Warren S. Dank, ESQ., P.C. Contact our office today to learn how we can help with your commercial real estate transaction. When a residential building needs to have repairs done, big or small, co-op and condo boards generally will sign a standard agreement that has been created previously by the American Institute of Architects (AIA). These agreements are created by the contractor who is hired to perform the work. Regrettably, these agreements often provide board members with a false sense of security; many agreements are written in favor of the contractor. This is why it is imperative to hire a construction attorney to review your contract. Boards who have elected to sign a contract without construction lawyers NYC signing off on it, generally find themselves in the middle of disputes over defective work, delays in completion, or unanticipated cost. This proves to be a valuable learning experience, as an ounce of prevention on their part could save them thousands of dollars in uncovered losses and legal fees. You want your project completed on time. In most AIA contracts, a clause for liquidated damages is generally missing. This is an important part that should be included, as it gives the contractor who is preforming the work a financial incentive to complete the contracted work on time. Know who is performing the work. Depending on the project, subcontractors may be required to complete the project. Therefore, the property owners should know who is going to be hired by the contractor to complete the work. For example, if you are having the exterior of your house decorated, be sure to do your research on local vinyl siding contractors, if this is the case. Better safe than sorry as they say. Lump sum to complete the work. No one likes to be surprised by additional costs required to complete a project. The agreement that is signed should include the lump sum necessary to cover all labor and materials of the project. Clear warranties outlined. A contract should contain clear warranties covering labor and material, both from the manufacturer and the contractor. The length of the warranty will be dependent on the type of work that is being performed and should be outlined in the contract. Protection against accident claims. The contract should state that the contractor shall indemnify and hold harmless the co-op/condo and all its managing agents, board members, officers, directors, employees and agents against any claims that arise from the performance of the work being done. In order to guarantee that obligation, the contract should explicitly require that the contractor be fully insured, including workers’ compensation, liability insurance, property insurance, auto and completed operations insurance. Additionally, each policy should list the property owner as additional insured. Pay for a job that is not only complete but is done right. A contract should include a provision that requires the work completed to be approved by the owner’s architect as a condition to payment. Additionally, there should be a clause that provides the owner with the right to withhold retainage (generally 10%) to incentivize the contractor to complete all work, including “punch list” items. The contract should also contain a clause that provides the owner with the right to stop payments if the work is not being performed properly or if the contractor is in violation of the contract. At the office of Warren S. Dank, ESQ., P.C. we have extensive knowledge in contracts and have experienced construction lawyers NYC who can review contracts to ensure you are protected. 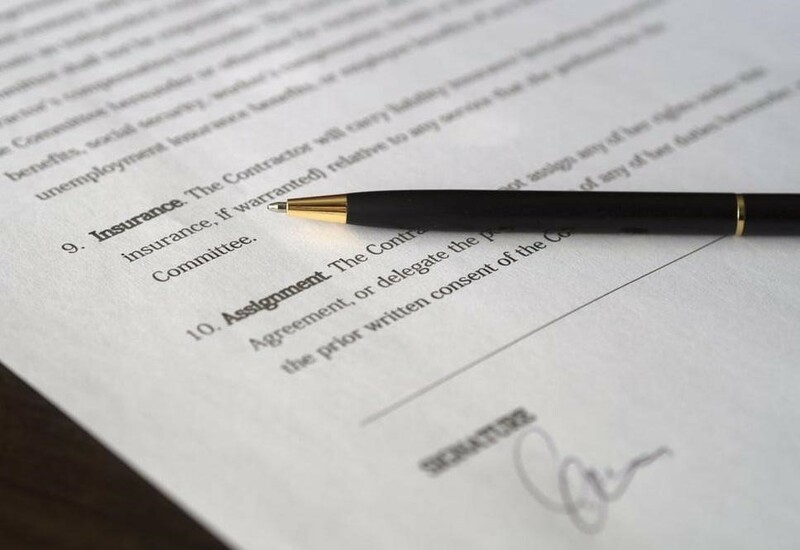 An experienced and knowledgeable attorney can review contracts prior to signing to ensure that all the necessary components are included, guaranteeing you payment, no unexpected charges, and completion on time. Contact Warren S. Dank, ESQ., P.C. today for professional and experienced advice regarding all contracts. Have you reached the finish line in your franchise business exploration? Are you on the verge where your yes or no decision on a particular franchise opportunity is imminent? If so, you must read this …. It’s often times postulated by Franchise representatives that the contents of an agreement are non-negotiable. Many people will buckle under the pressure and uncertainty and sign with disregard to the gravity of the document execution. While that may be be stated clearly, there are varying degrees of truth behind the claim.The legal jargon interlaced in a Franchise Disclosure Document (FDD) as well as the actual franchise agreement iteself may be 200 – 300 pages long. The information contained in these documents necessitate scrutiny and a keen eye for detail. Doing so, without proper representation, could be a costly oversite. Utilizing the skill set of an experienced franchise attorney can often be the discerning factor between a successful agreement, and a pending legal dispute. A qualified franchise Lawyer NYC will know which part of the FDD contract to focus on, while taking into account the agreement in its entirety. Over site of the execution or preliminary drafting should be included in a schedule of services in order to minimize conflict and ensure success. Proper drafting and compilation should protect the interest of the respective parties, and clearly define the obligations as a franchise owner to your franchiser. Franchise lawyers in NYC can also help businessmen negotiate with the franchiser. Once you have completed all the research and are ready to move ahead with your chosen franchise opportunity, hire a franchise lawyer NYC you can offer reassurance that nothing was overlooked. If you are buying a franchise in New York City than hiring the services of a qualified franchise lawyer in NYC should be the only thing that should be non-negotiable in your eyes. New York City tenants know just how expensive rent can be, and depending on the neighborhood you choose to live in, it can be even more expensive compared to other neighborhoods in the city. Nobody wants to live near bad tenants when they rent, which is why finding a good place to rent is important. It is due to these astronomically high rent prices that rent regulations were established and put into place to protect the average New Yorker from being priced out of the rental market. So, what is the difference between rent control and rent stabilization? Dating back to 1920, just after World War I, there was a severe housing shortage in NYC that lead to high rents and rent strikes. As a result, and to try and mitigate the problem, the New York State legislature passed a program that was intended to control rent prices—keep them down, and limit landlords on baseless evictions of tenants without the assistance of a landlord tenant lawyer NYC. Following the rent control legislation of the 1920s, there have been numerous other laws and regulations passed, intended to both regulate rent and decontrol units. Currently, rent control is debunked and only those who inherited their rent controlled apartment from a family member are eligible to continue living in a rent controlled unit. It is worth noting that rent controlled units can only be passed down within a family, from one tenant to another when the existing tenant either moves and vacates the unit or passes away. Additionally, in order for a family member to inherit the rent controlled apartment, they must have been living in the apartment with the previous tenant for the two years prior to the previous tenant’s death or vacancy of the property. Currently, the number of rent controlled units in the city account for approximately 38,000 units, according to the New York City Rent Guidelines Board. These units are largely occupied by elderly individuals, a low income population who have been occupying the units since 1971, either by themselves or their lawful successors. A rent stabilized apartment can be found in buildings that were constructed prior to 1974, and consist of more than 3 units. These apartments generally rent for less than $2,700 a month. In addition to the lower rent, rent stabilized apartments also limit how much a landlord can increase rent on an apartment each year, and gives you a guaranteed right to renew your lease. When searching for a New York City apartment, keep in mind that not all rent stabilized apartments will advertise that it is a rent stabilized unit. While it might not be listed, it is often possible to tell based off the price and the age of the building. If you are fortunate enough to find a rent stabilized apartment, be sure that it is stated as such in your rental lease agreement. You should be given the option to sign either a one or two-year lease. Generally, the landlord will also provide you with a rider to the lease as well. A rider is an amendment to the lease that states a financial concession to the rent, to cover the discrepancy between the ostensible market value and the rent being charged. This amount plus the monthly rent payment will be used to calculate the 4 percent increase your landlord can issue the following year, provided that they do minor renovations to the individual unit or the building as a whole. If you feel as though you are being evicted for baseless reasons, or that your landlord is unfairly raising your rent, contact a landlord tenant lawyer NYC today. Warren S. Dank, ESQ., P.C. offers representation pertaining to accommodation charges, home maintenance costs, lease violations, the overcharging of rent and more. Contact us today to learn how we can help you with your landlord tenant disputes. Why Do You Need to Hire a Construction Attorney? Chances are if you regularly work in the construction industry, you’ve heard of a construction attorney. But do you know what they do exactly? There are a lot of hazards and restrictions that are associated with working construction that you’ll need to be aware of. A construction attorney NYC can help you navigate employment law, government contracts, and construction defects. An attorney will also be able to draw up contracts that protect you and ensure that you are following all guidelines. They will also be able to effectively represent you in court if needed. When do you need a construction attorney? If you have any questions or concerns about the process, having an attorney who can explain the process and put your concerns to rest can prove to be very beneficial. What to expect when working with a construction attorney. When working with a construction attorney, the outcome will be determined by what it is exactly that you have hired an attorney to do for you. If you have hired a construction attorney NYC to draft up a document or contract, or are receiving legal advice on regulations, you can expect your attorney to provide you with confidence that your business transaction is legal, and you fully understand what is expected of you. If your case goes to trial, having a construction attorney representing you, doesn’t mean that you will automatically win your case. Although, having an attorney to represent you will provide you with the benefit of their expert knowledge about the law and court procedures. If you are looking for a construction attorney in NYC, contact Warren S. Dank, ESQ., P.C. With years of experience in representing various aspects of construction law. Warren S. Dank knows NYC construction law and can provide you with the knowledge and expertise to ensure that you are accurately represented. Do I Need a Franchise Lawyer? Individuals elect to buy into a NYC franchise for various reasons, such as being a business owner, having support from a franchisor, and filling the desire of an entrepreneurial spirit. These individuals are dedicated to putting in the time and money to ensure that their newly acquired franchise business succeeds. Add on the additional stress and time demands of reviewing contracts and legal analysis, and some business owners might not be able to handle it all. Unfortunately, the dream of owning and operating your own franchise isn’t easily achieved, but it is possible with the help of an experienced franchise lawyer NYC. What do franchise attorneys do? The level of experience that the franchisor and its officers, directors, and executives. The level of obligations that the franchise company will have to you and your business after you’ve opened. Initial fees, and any reoccurring fees (such as royalties and advertising) that you’ll be required to pay. Are there any financing arrangements that are provided? A complete description of all startup costs incurred in the initial investment prior to and after opening your franchise. Rights and restrictions regarding renewal, termination, transfer, and dispute resolution. A franchise attorney, who is accustomed to seeing FDD’s, will be able to evaluate the disclosures made in your FDD, along with the terms of your franchise agreement before you sign any documents. It is not uncommon for franchise agreements to favor the franchisor. Some agreements are extremely one-sided, favoring one party. When this is the case, the franchisors may be willing to negotiate certain terms, especially if they do not threaten or endanger their trademark. These should be negotiated by a franchise lawyer NYC. Having a franchise attorney to protect your own interest is recommended, not only during the initial phases, but after all the contracts have been signed and you’ve opened your business. Franchise owners that do not retain their own legal representation are often hesitant to resolve issues with the franchisor. Because of their hesitancy to address issues as they come up, problems may persist, or worsen. Failure to act on problems as they arise, will eventually lead to loosing leverage against the franchisor, either as a result of contractual limitation periods or state statute of limitations. Don’t fall into the trap of taking legal advice from the franchisor’s legal representation. They have their client’s best interest at heart, not yours. Hire your own attorney to protect your rights and ensure that you are being accurately represented. The office of Warren S. Dank, ESQ., P.C. has experience in effectively negotiating FDD’s to protect and represent their clients. If you are thinking about purchasing a franchise in NYC, don’t sign anything until you have talked to Warren S. Dank, ESQ., P.C.! When researching for a new place to live, it is not uncommon to encounter various terms regarding real estate to rent. 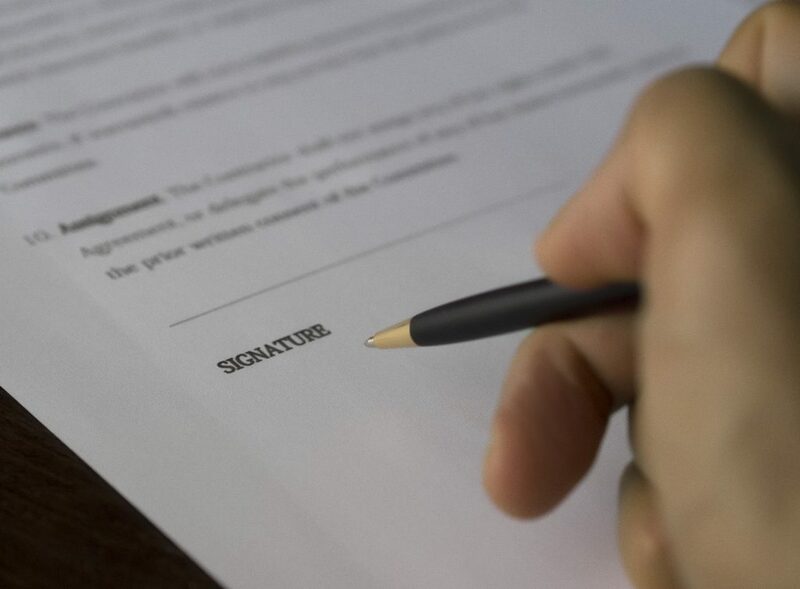 Landlords writing up contracts for their properties, would be well advised to consult with real estate lawyers NYC, to ensure that they are going to be protected and negotiating the correct contract. Two of the most common terms that most people do not understand, or know the difference, when it comes to real estate terms are: a rental agreement and a lease. So, what is the difference? What does each one mean? A rental agreement provides for a tenant to rent a property on a short-term basis (generally 30 days). This agreement automatically renews month to month, until either party gives written notice to cancel the agreement. This type of rental agreement allows for the landlord to make changes to the terms agreed to initially with the proper written warning given to the tenant. Landlord could promote tenants to get something like https://www.insurancequotes.com/home/renters-insurance to help protect them should anything go wrong. On the other hand, a written lease is giving the tenant the right to occupy a property for an extended, set period of time. Generally, written lease agreements are for 12 months, but are sometimes shorter or longer. A written lease protects the tenant from rent increases and other changes in their terms agreed to during the duration of the agreement without consent from both parties. One of the big difference, aside from the length of the agreement, between the two types of agreements is that a written lease does not automatically renew when it expires like a rental agreement does. Tenants who wish to continue occupying the premise after the lease agreement has expired will transition to a month-to-month agreement, subject to the same conditions and terms that were listed in the initial lease agreement. New York is one of five states that has communities with laws restricting how much landlords can charge tenants for rent. These laws, also known as rent stabilization or maximum rent regulation, limit the circumstances and the times that a landlord may increase the rent. Many of these laws also require that landlords have a legal or just cause (good reason) to evict or terminate a tenancy. Examples of just cause include, tenant’s failure to pay rent, or evicting a tenant so that a family member of the landlord can occupy the space. Trusting your lease or rental agreement to a generic agreement that is available from the local office supply store, can be risky for everyone involved. Often times, these generic agreements are full of legal jargon that is hard to understand, contains clauses that are out of date, or are not in compliance with your local and state laws. Rental agreements and written leases should always be done in writing, so as to mitigate any disputes over oral agreements, regarding who said what to who and when. For landlords who are new to the New York real estate market, consulting with real estate lawyers NYC to draft an agreement can prove to be very beneficial. Warren S. Dank, Esq., P.C., has been helping landlords write up rental and lease agreements regarding New York real estate and protecting the rights of landlords and tenants alike. Contact the office of Warren S. Dank today, and get a rental contract that works for you! For those who are considering purchasing and owning a NYC franchise, there are a few things that need to be considered before signing on the dotted line. It is important to do your research to ensure that you know what exactly it is that you will be getting yourself into. If possible, talk to several current franchisees to get some of your burning questions answered. Have a business plan drawn up. Possibly visit, franchise headquarters. Once you’ve done your research and feel confident in making the leap into franchisee ownership, you’re almost there. You’ll have one more thing left to do, and it has to do with the legal aspect of owning a franchise. You need to do everything within your power to protect yourself legally, and the only way to do that is to hire a franchise lawyer NYC. 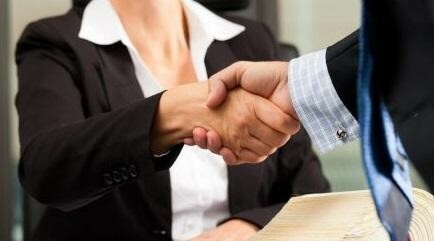 Here are four reasons, why hiring a franchise attorney will prove to be in your best interest. By law, all prospective franchise owners are required to receive the Franchise Disclosure Document (FDD) prior to making the purchase. This document is generally 150-200 pages, and covers everything that the Federal Trade Commission (FTC) has determined that a prospective franchise owner will need to know about the franchise. It is vital to be intimately aware of everything that is contained within the FDD. Within the FDD you find certain restrictions and obligations that you’ll be required to abide by as part of a franchise, otherwise you could be terminated. Franchise attorneys have specialized in franchise law and know what specifically to look for in the FDD and the actual franchise contract. Your attorney will know what to specifically look for in the FDD when reviewing prior to having you sign any document. Attorneys are also keeping up on the ever-changing laws regarding franchises that are specific to your state. Should you establish your newly acquired franchise as an LLC? An S-Corp? Or a C-Corp? A competent franchise attorney will be able to offer useful suggestions when making this crucial decision. The entity that you choose will ultimately determine your legal rights and liabilities as the franchise owner, and will also determine how your business is taxed. 3. Help if things don’t go according to plan. No one purchases a franchise and expects it to not be successful. 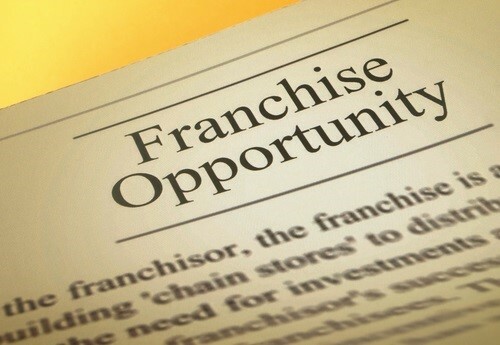 But what happens if the unfortunate happens after you purchase and opened your franchise? There are a lot of factors that go into making a franchise successful, such as, how fast you can turn a profit, the location and so on. In the event that you find yourself in a situation where you are having to close your franchise, you’ll once again need the expertise of a franchise attorney. 4. Franchise Development Tells You that You Don’t Need an Attorney. When a franchise development director tells you that you don’t need to hire a franchise attorney, and you’d be better off not wasting your money, he’d be lying. The real reason that a development director would make the claim that you don’t need an attorney, is that they want you to sign the franchise agreement. Salesmen are trained to get documents signed and in the case of a franchise agreement, they are trained to get a lengthy, wordy document, that is difficult for the average person to understand. Warren S. Dank, ESQ., P.C. is a franchise lawyer NYC who has years of experience in helping franchise owners negotiate the world of FDD’s and protecting themselves. If you are thinking about purchasing a NYC franchise, give Warren S. Dank a call and hire the best franchise attorney in New York to protect yourself and your investment!